Who wants to spend time in the kitchen cooking when you can be outside enjoying these beautiful summer evenings? Here’s a new, tasty version of a zucchini “pasta” salad that you can make in about 20 minutes. Use a spiralizer or a julienne tool to turn the zucchini into pasta that doesn’t require cooking and comes with a lot more vitamins C and B-6, potassium and magnesium than traditional pasta! I cooked the corn to give it added sweetness but you can easily toss it in as it is. 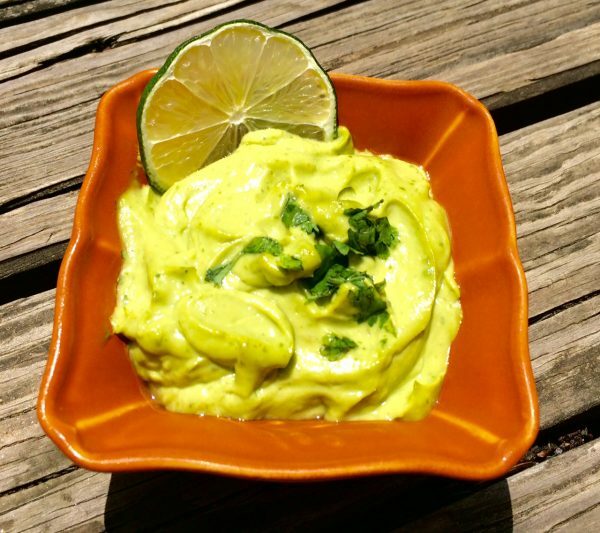 Spices like cumin and chili powder add a nice punch and work well with the lime-avocado dressing. Add garbanzo beans to make this salad a complete meal. Enjoy! Put zucchini noodles in a large bowl. Heat 1 tablespoon olive oil in a skillet over medium-high heat (but not smoking). Add the corn, cumin and 1/4 teaspoon chili powder and cook, stirring occasionally, 10-12 minutes or until the corn starts to brown. Remove from heat and set aside in a small bowl to cool. Alternately toss corn with cumin and chili powder without cooking. 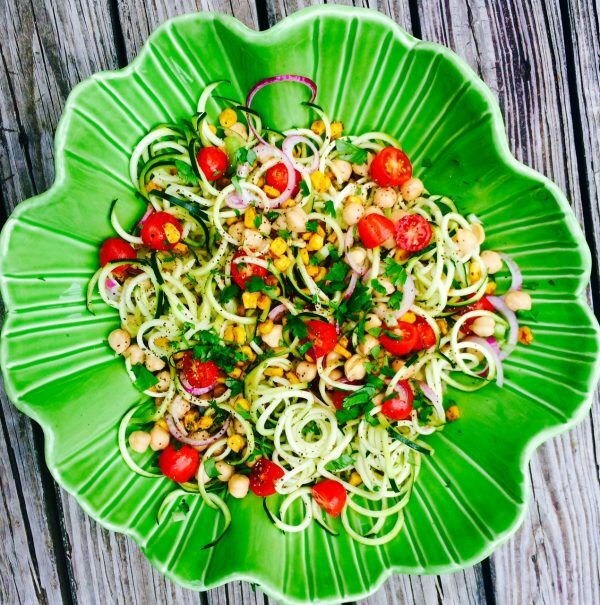 Combine the tomatoes, onions, celery, beans and cooled corn with the zucchini noodles in the bowl. Season with salt, pepper, remaining 1/4 teaspoon chili powder and cilantro. Toss to combine. Add all the dressing ingredients to a Vitamix or powerful blender and process until well blended into a smooth dressing. Divide the zucchini salad between plates and top with a dollop of the avocado dressing. Mix well and add additional dressing if desired. 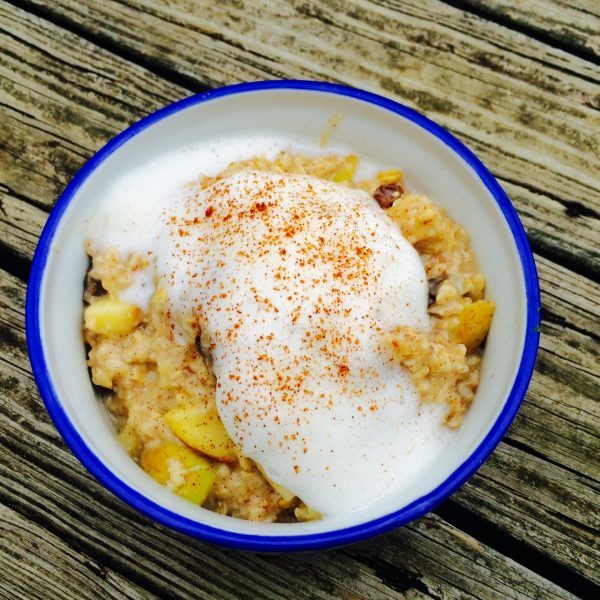 5 Ways Oatmeal Will Make You Healthier! Oatmeal used to be one of the most underrated grains but lately it’s reached almost “superfood” status because of its ability to affect our health and wellness in so many different ways. I’ve always loved oatmeal and have enjoyed it almost every morning for breakfast as long as I can remember. It’s relatively low in calories but really fills me up. No other food does it like oats! Aside from tasting great when combined with fruit, ground flax, cinnamon, raisins and almond milk, oats are super good for us. Read below to find out just how good! Oatmeal contains a specific type of fiber known as beta-glucan which has proven to have big-time beneficial effects on cholesterol levels. Studies show that people with high cholesterol (above 220 mg/dl) who consume one bowl of oatmeal each day typically lower their total cholesterol by 8-23%. In addition to helping reduce cholesterol research now suggests oats may have another cardio-protective mechanism. A bioactive compound unique to oats, called avenanthramides, is thought to stop fat forming in the arteries, preventing heart attacks and strokes. Starting out your day with oats may make it easier to keep blood sugar levels under control the rest of the day. Your blood sugar level is the amount of glucose (from your food) that circulates in your bloodstream, providing energy to cells either immediately or stored for future use. A well-balanced blood sugar level is crucial to overall fitness and well-being, regulating your hormones, triggering your body to burn stored fat, and increasing your metabolism to help you lose weight. Studies show that oatmeal has a stimulating effect on the immune system, helping keep your body strong and better equipped to defend against disease. The insoluble fiber in oatmeal helps you stay regular and increases the functioning of your digestive tract, promoting good colon health. The selenium in oatmeal helps repair DNA and is linked with corresponding lower cancer risk, especially colon cancer. See more at pinkribboncooking.com. Pre-menopausal women eating the most whole grain fiber like oatmeal had a 41% reduced risk of breast cancer according to researchers. Copper: An antioxidant mineral that is often lacking in the Western diet. It is considered important for heart health. Vitamin B1: Also known as thiamine, this vitamin may protect the eye lens and help protect against cateracts. Magnesium: Often lacking in the diet. Adequate intake of magnesium and vitamin D coupled with overall proper nutrition and weight- bearing exercise are the primary preventive measures for osteoporosis. Intense exercise can deplete your body of magnesium. Eat your oats, protect your health! 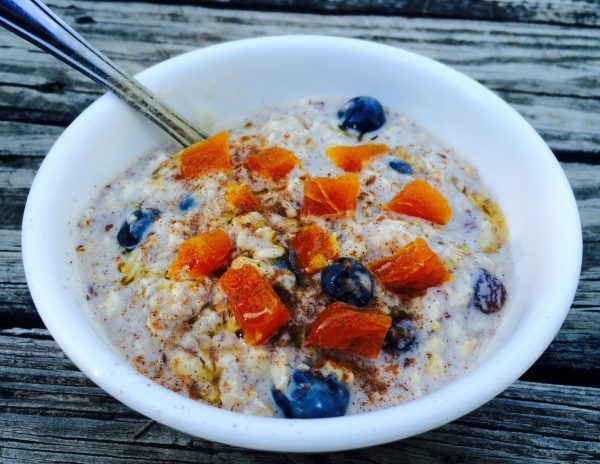 When it’s too hot out to eat a steaming bowl of oatmeal try this! Combine all ingredients except apricots in a large bowl. Cover and refrigerate overnight. When ready to serve top each bowl with chopped apricots and a bit of honey if desired. One of the best ways to keep your energy level up is to drink plenty of filtered water. Aim to drink at least one-third of your body weight in ounces each day to offset the side effects of over-consumption of alcohol, “vacation” diet, time spent in the sun, and the fact that travel itself can be stressful and draining. Start early and drink water steadily throughout the day. A hydrated body is a more efficient body. In addition to helping you feel great, hydration is also one of the keys to healthy looking skin. If your vacation plans involve flying, make an extra effort to drink plenty of water in the days leading up to your flight, while limiting caffeine and alcohol. Inflammation can be protective, such as when our bodies respond to injury. But chronic inflammation — in response to a steady diet of processed foods, sugar, alcohol and inadequate sleep — is a different story altogether. This often happens when we’re away from home and why we end up feeling not so great when vacation is over. It’s important, even necessary, to take a break from our hectic schedules at least a few times a year. But we don’t do ourselves any favors when those breaks include ditching all health-promoting food and o ur usual healthy habits! Don’t get me wrong: you can (and should) still enjoy your favorite vacation foods, just do your best to offset the splurges with healing foods so you return home feeling rested instead of bloated. Simply adding certain foods to your diet will cool down that inflammation: vegetables (no, not French fries! 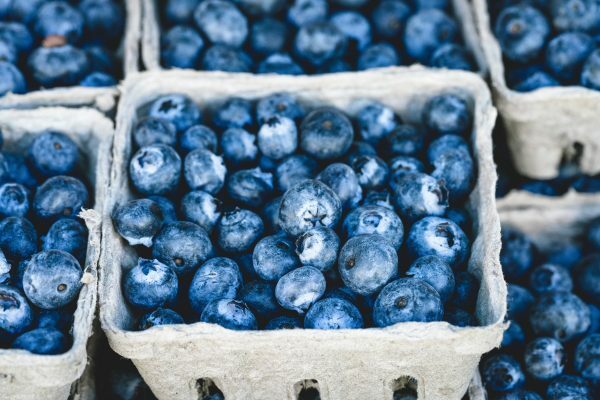 ), fruits (especially berries), nuts, seeds and small amounts of healthy oils like avocados and olive oil will do the trick. Also, herbs such as ginger, turmeric, basil and rosemary have tremendous healing properties. It doesn’t have to be intense, but try to squeeze in 20 to 30 minutes of active time each day. Ride a bike, go for a run or a power walk. Take a hike or enjoy a swim. Exercise helps you sleep more soundly and is the antidote for extra calories and brain fog from too much sugar or alcohol. Plus, if you know you’re going to be active the next day, you’ll be more mindful of how you’re fueling your body. 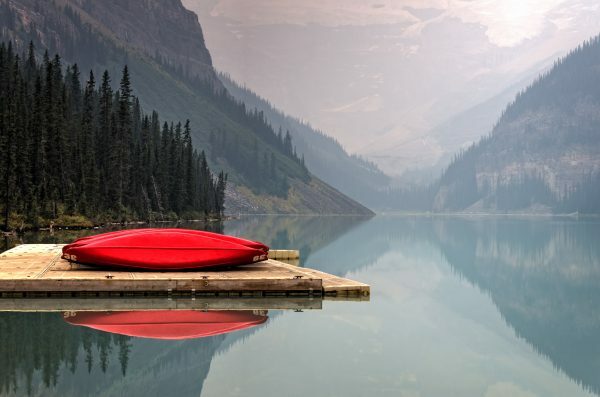 Have fun on vacation and be mindful of these small steps to help you feel your best. Your body will thank you!